One of the biggest changes from v4 to v5 is in how Manual Inputs (now called variables) work. 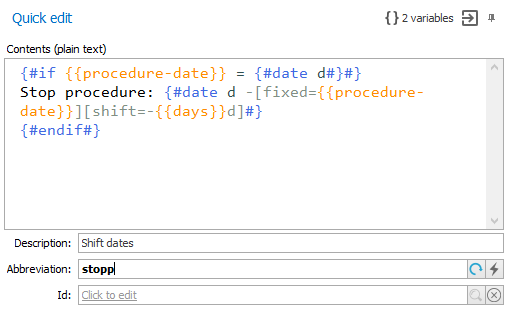 When moving from v4 to v5, PhraseExpander will automatically convert Manual Inputs to variables. Variables can contain simple blocks of text (text variable) or could display prompt to request additional information (fill-in variables). They have a new syntax. In the template, you'll only see a placeholder instead of a block of code. This will make the template easier to read. And to edit the variable, all you have to do is double-click on its placeholder. 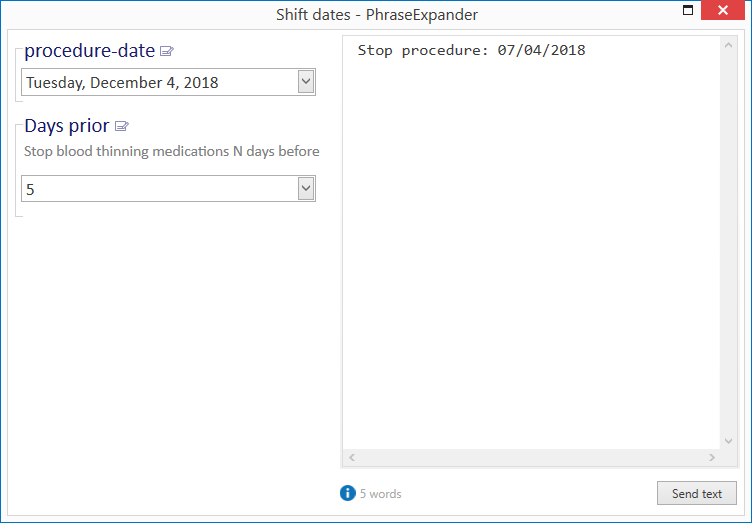 PhraseExpander will insert the placeholder in the template. You can see the results in the Test Pad by clicking on the Test button. The Input form macro has been removed as it's no longer required as PhraseExpander will display a single form to insert all the additional information.